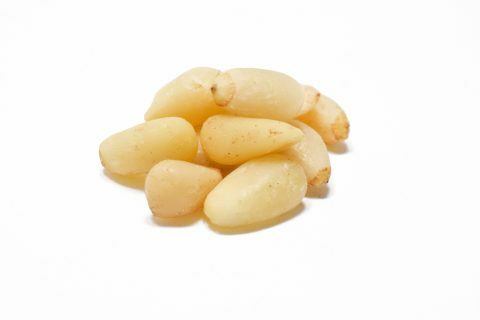 Pine nuts are called pinoli in Spain and are also locally known as pinoccoli or pinocchi. Pinocchio in fact means “pine nut” in Italian ! A familiar tree to all of us both in Europe and North America, the Pine tree mainly thrives in the Mediterranean area, in North America as well as Northern China, Russia and Korea. There are many varieties of this nut but the most popular and widely cultivated are Pinus pinea in the Med, mainly Italy, Spain, Portugal and Western Turkey where the variety has been cultivated for the nut, for over 6000 years and Pinus gerardiana in North East Asia. Pine nuts are rich in calcium, magnesium, phosphorus, potassium, Vitamin A and C .